Providing the best travel tips and top recommendations for family vacations. Would you believe that Panama City Beach has a hidden gem of a restaurant in Dat Cajun Place? If you are looking for cajun and seafood dishes that won’t disappoint, you will not want to miss Dat Cajun Place. One of the things that we liked most about Dat Cajun Place was its backstory. Jan and Trudy White, owners of the restaurant moved to Panama City Beach after Hurricane Katrina hit New Orleans. Trudy’s roots date back to the Acadians and her upbringing was around amazing Cajun food. This is evident in the dishes they serve. Their menu cover has a unique background of the swamps of Louisiana and the fleur de lis covered by a crawfish. You know when you sit down and this menu is handed to you, you are in for a treat. We happened to come on a Sunday and were pleasantly surprised by a live Jazz band on stage. The restaurant features a Cajun Brunch every Sunday accompanied by live music. It added a lot of ambiance to the restaurant. Whenever we go to a Cajun style restaurant we have to try the gumbo. Hands down, this was the best gumbo we have ever had! It was loaded with chicken, andouille sausage, and rice. I accompanied it with the Fish Orleans. It was grilled, flaky and truly amazing. It was on top a bed of Cajun rice and topped with their signature “Orleans” cream sauce. My wife also ordered the gumbo. She added a Shrimp Po Boy sandwich. It was garnished with mayo, tomato, and lettuce. She loved it. Both my parents ordered the Dat Benedict, part of the Sunday brunch menu. It came with two English muffins topped with a crawfish cake. Then it had two poached eggs covered with a crawfish etouffee. My oldest son ordered two grilled shrimp skewers over a bed of rice. The shrimp were cooked to perfection and it didn’t take long for him to devour both sticks. He had a side of Cajun fries. My daughter ordered off the kid’s menu and surprised me by choosing fried oysters! She loved them and ate every single one! None of us left hungry. That is for sure. The next time you are in Panama City Beach and want a taste of New Orleans, we highly recommend Dat Cajun Place. You will leave satisfied and impressed! Here is a link to their website. Bayou on the Beach Will Not Disappoint. True Dat! Copyright © 2019 Site designed by DESIGN BY CHRISTI on theme by GEORGIA LOU STUDIOS. 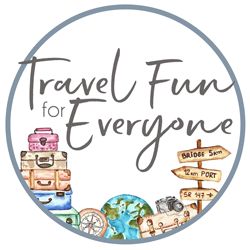 Subscribe to our mailing list to receive family travel tips, activities and more!